Cruising? What about a New Zealand shore excursion? 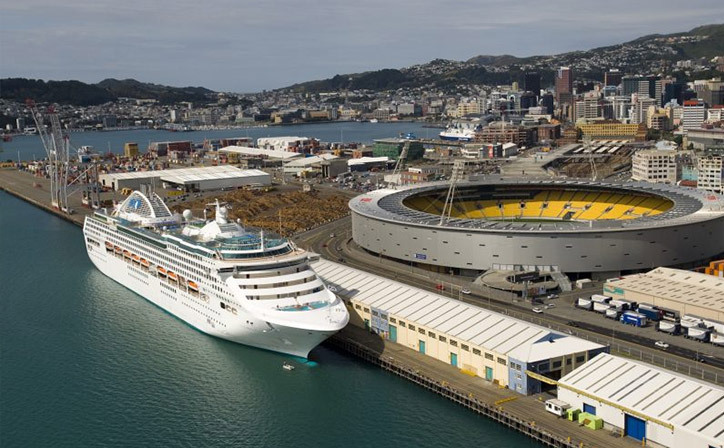 Heading on a cruising holiday to New Zealand? Shore excursions are the best way to get the most out of your holiday! See New Zealand’s most famous destinations, each offering a unique experience and memories that will last a lifetime. There are options on both the North and South Island covering a wide range of experiences… here are some of our favourite picks. Akaroa is a magical small town with a uniquely French heritage. A harbour town set in an extinct volcano crater, unforgettable views surround you on all sides… green rolling hills, high peaks and lush bushland. A day journey will take you on the scenic road to the “Garden City” – Christchurch. Activities in Christchurch are centrally located – a visit to the museum, a walk in the vibrant botanic gardens or a punting trip down the Avon river are all great ways to take in the sights. With time permitting, on your journey back to the ship you will be able to sample the goods at Barry’s Bay cheese factory – ask for their Maasdam variety, a local favourite with a sweet flavour! 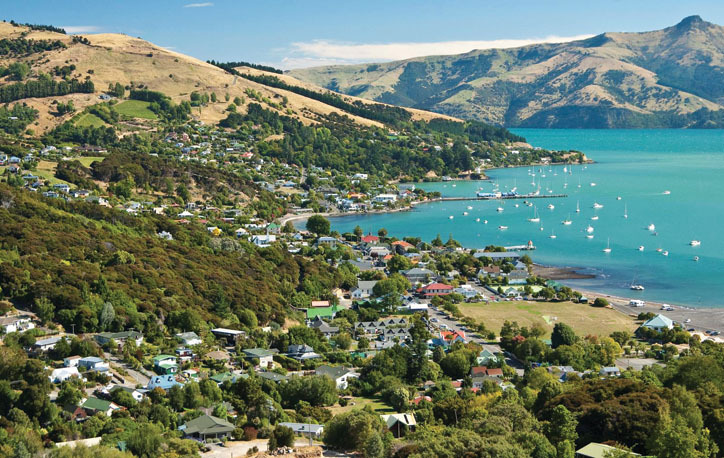 The University city of Dunedin lies in the deep south of New Zealand, rich with history and nestled within rugged hills. 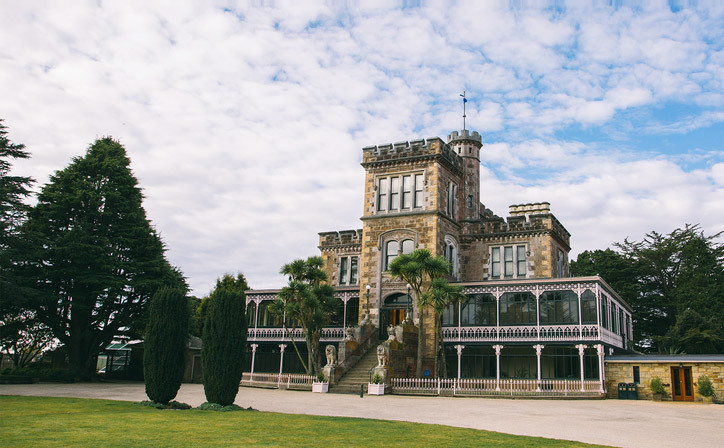 Here you can visit New Zealand’s only castle, Larnach Castle, built in 1871. Majestic and imposing, this is a landmark not to be missed… summer brings out the best and brightest colours in the flowerbeds. A trip to Dunedin would not be complete without a tour of the iconic Speight’s brewery, it’s the preferred tipple of the “Southern man”, and the brewery still stands on its original site, first founded in the 19th century. A fun-filled day awaits you in sunny Tauranga. Mount Maunganui is one of New Zealand’s most popular beaches and is only a short journey from the ship. Stop in at the Kiwifruit Country Store to see the working orchard, where they pick the freshest fruit in town. 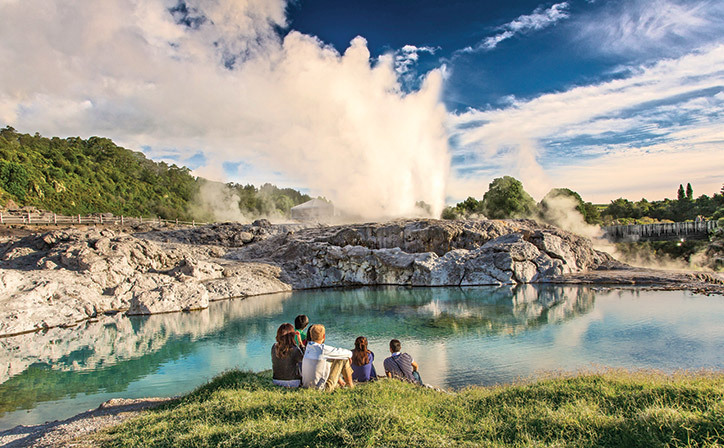 A cultural detour to Te Puia will be a highlight – see the famous Pohutu geyser with its hourly eruptions towering up to 30 metres high, right next to bubbling hot mud pools. Before you enjoy the scenic route home, soak up the sights at Government Gardens with its ornamental lake and heritage buildings. New Zealand’s Capital, Wellington has a relaxed atmosphere with Art Deco architecture, iconic Parliament buildings and world-famous coffee. It is a compact city, comfortably seen in a day. Start with a ride up the cable car for a trip to the museum, before you head up to Mount Victoria, where you’ll need a camera handy to capture the best view over Wellington city and the harbour. Back down in the city, the national museum of Te Papa is a cultural icon, and it’s right on the waterfront so you can take a stroll or grab a bite to eat! 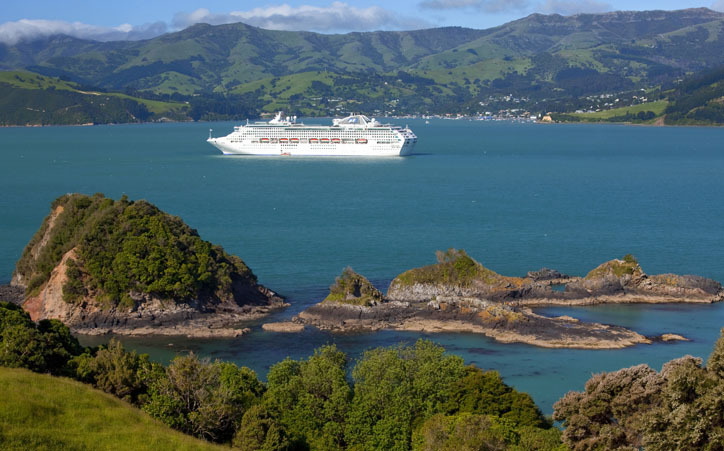 Cruise and experience New Zealand’s amazing sights in one holiday, let us help you book your shore excursions!